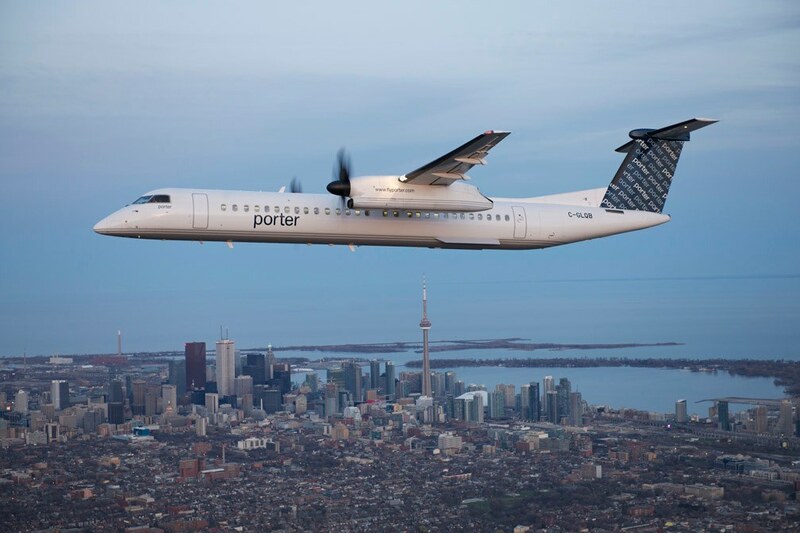 All-but lost last month amid all the hoopla over the launch by Air Canada of its latest low-cost carrier, Rouge, was a fascinating item in several newspapers and websites about WestJet’s concern regarding the special treatment given Air Canada by the federal government. According the stories, and the federal register of lobbyists,WestJet officials launched “a concerted lobbying campaign with the federal government regarding pensions.” A series of meetings was held over two days last November and included no fewer than four members of cabinet, among them Finance Minister Jim Flaherty. Neither WestJet nor the federal government will divulge what was discussed, but it isn’t too difficult to link up the dots and get a good idea where the discussion went. 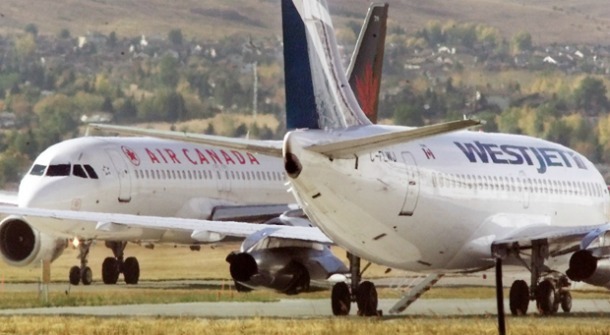 Not-so-coincidentally, Air Canada, which is WestJet’s chief rival, is seeking leniency from the government regarding a massive pension funding deficit. The issue, as the Reuters story explains, is this: Even as WestJet was meeting with government officials, Flaherty was considering a request by Air Canada to be granted a 10-year extension to the cap on special payments it must make to reduce the deficit in its defined-benefit pension funds, which reached C$4.2 billion at the start of 2012. I’ll pause while you digest that number: AC has a pension deficit of $4.2 billion. So you can understand WestJet’s concern. Here’s Air Canada asking for help from the government and at the same time talking about how well they’re doing financially, launching a new airline and buying airplanes. If you’re WestJet, hard not to view that that sucking and blowing at the same time. 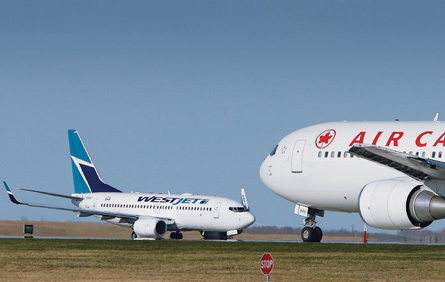 WestJet’s point of view would be thus: Here it is doing its level best to run a smart, efficient business, and then has to additionally compete in an environment where its main competitor has the playing field tilted in its favour by the federal government. By the way, WestJet doesn’t have a defined pension plan. Instead, it offers its employees profit sharing, and matches any shares that employees buy with their profit sharing on a 1-1 basis. As with most things, however, it’s difficult to draw a conclusion that black-and-white, no matter how black-and-white the issue appears on the surface. Air Canada is a legacy carrier, and prior to 1989 was owned by the federal government. Airline ownership, and the protections afforded Air Canada, was the government’s way of ensuring that Canadians were well served by air in a land that was long on geography and thin on population. You can debate, endlessly, whether that policy was successful. Regardless, even though AC is no longer a crown corporation, it operates under conditions and rules different than other airlines due to its past. Some of these restrictions impose added costs. For example, Air Canada is legally obligated to provide services in French and English, unlike WestJet, which merely must provide safety announcements in both. No doubt a portion of that pension deficit was incurred while Air Canada was operated as a Crown Corp., and decisions made by its executives, such as buying Airbus A320 aircraft in 1988, not only received government blessing, but were imposed upon it when politically expedient. The government has, shall we say, something of a moral and historical obligation to help it out. And help it does. When Air Canada sales and service agents walked off the job in June of 2011, the federal government tabled back-to-work-legislation. When Air Canada flight attendants threatened to strike in October of 2011, the federal government referred the dispute to Canadian Industrial Relations Board, blocking the FAs from job action. When Air Canada pilots and machinists threatened the same last March, the government yet again stepped in, referring the dispute to the CIRB. The pattern is the same paternalism displayed when AC was a Crown Corp., insofar as it remains of the view that without Air Canada, Canadians would be in a pickle where air travel goes. If Air Canada were to fold, my take is that about 11.3 seconds after Air Canada disappeared private companies would trip over one another to fill the void. Money loves a vacuum. That said, it could well be that with Air Canada gone, and less competition in the marketplace, the flying public ends up served less well. It’s one of things no one would really know until they knew. The WestJet issue has the government by the short hairs.One one hand it has a historical obligation to Air Canada, views it as an essential service, and at the same time purports to be pro-business, believes in marketplace freedom, and is a booster of Western Canada. Remember, WestJet is Calgary based, and Alberta is the heart of the Conservatives power base (Calgary Southwest is Prime Minister Stephen Harper’s own riding). Rubbing WestJet the wrong way is not something a Harper government wants to do. Hence the fascinating dilemma. On one hand, Air Canada is viewed as the favourite son. On the other, WestJet is the pretty daughter looking for equal treatment. Welcome to aviation, Canada style. This entry was posted in Airlines, Industry News & Commentary, Uncategorized and tagged Air Canada, crown corporation, federal government, labour dispute, level playing field, lobbying, pensions, WestJet on January 7, 2013 by Craig Daniels.